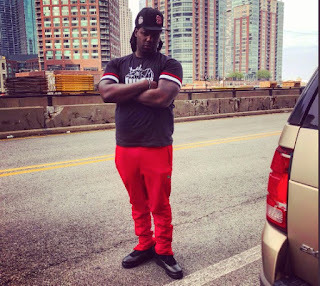 The victim of an early morning homicide in the Loop has been identified as Zachary Stoner, a popular Chicago-based YouTube vlogger known as ZackTV1. Stoner was driving in the 700 block of South Clark when he crashed into a light pole after being shot around 1:30 a.m.
Police said the victim, now identified as Stoner, was traveling southbound on Clark when shots were fired and he was struck in the head and neck. Stoner’s SUV crashed into a light pole across the street from an apartment building. A gun was found under his car, police said. Bullet holes could be seen in the driver’s side of Stoner’s front windshield. Six shell casings were found lying on Clark Street. Police were questioning a man whose car was found abandoned at the murder scene, but it is not known if the individual is considered a suspect. Stoner built a following of 175,000 YouTube subscribers with his interviews of Chicago’s top rap artists and celebrities.